Mice vs. 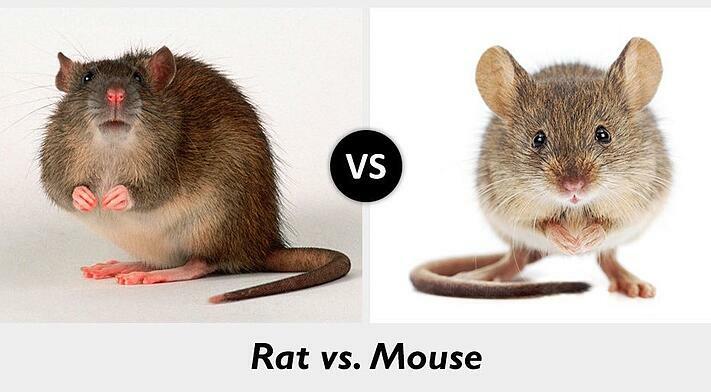 Rats – What’s the difference? 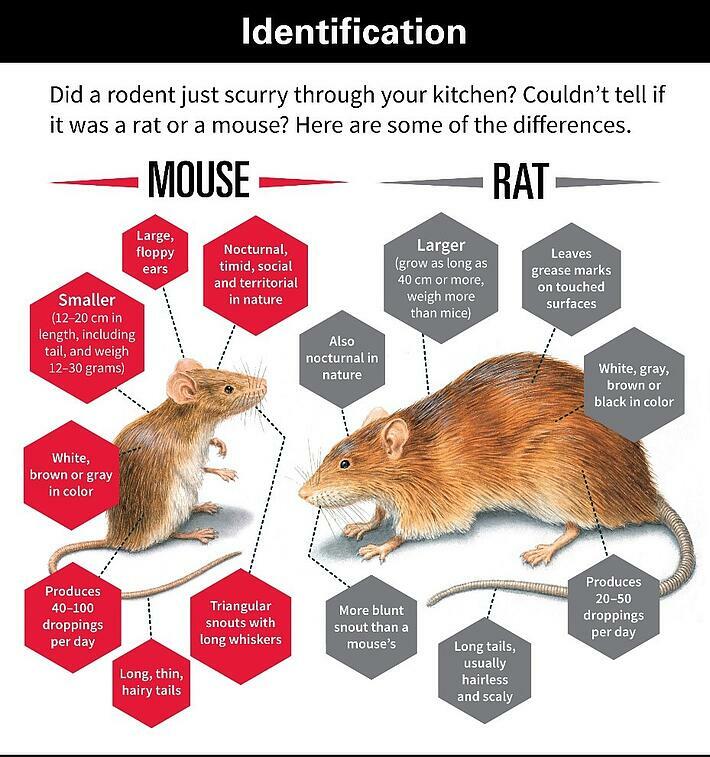 Differences between mice and rats may seem obvious to many, but some of the differences may be more subtle than you think. Of course they both fall into the rodent family and both can cause extensive damage if they invade your home, but if you have them in your home, would you be able to determine which one you have? Depending on which one you may have in your home makes a huge difference when it comes to treating them. How Can You Tell a Mouse from a Rat? Although coloration of mice and rats are similar, there are a few differences in other features that would help you distinguish between the two. Starting with the snouts of both mice and rats, mice will have more of a triangular nose whereas a rat’s nose is blunter. When it comes to ears, mice have large, floppy ears however rats have larger ears in size compared to mice but not in respect to their body size. Mice also tend to have long, thin tails with hair but rat tails will usually be hairless and scaly. Rat Behavior vs. Mouse Behavior – Is there a Difference? Although both rats and mice fall into the rodent category, there are some differences in their behaviors. Even though they are smaller in size, mice tend to be a bit bolder than rats. Mice are usually curious and will explore new things, including traps. It’ll take more than a baited trap to trick a rat though. Rats typically live in fear, so they are very cautious about new things and won’t explore like mice. It takes rats a lot longer to investigate new things as opposed to mice, which sometimes can make it difficult for trapping. Mice vs. Rats – Who Causes More Damage? The fact is that if you have either one of these rodents in your home, the damage can be significant and it is imperative that you have a professional come in and address the situation. Can Rodents Cause Health Problems? Not only can the rodents cause structural damage to your home but they are also a public health pest. 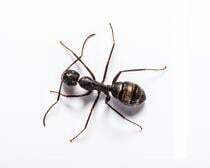 “Rodents can cause a lot of damage and can transmit bacteria and other disease agents, so it is best to have the problem taken care of properly and right away,” said Dr. Richard Cooper, staff entomologist at Cooper Pest Solutions. Rodent infestations can become huge headaches for homeowners, so it is best to prevent them as early as possible. If you do notice mouse or rat activity in your home, be sure to contact your local pest or rodent removal company before they cause significant damage to your home. How Can Cooper Pest Solutions Help with Mice and Rats? At Cooper Pest Solutions we understand how difficult rodents can be to remove and the headaches they cause homeowners, which is why we offer several different services to accommodate your mice and rat removal needs. The one-time elimination service will take care of your current rodent problem by eliminating the activity within the home and providing the homeowner with a 90-day coverage plan guarantee. This service is ideal for anyone who wants to just remove the rodents from their home. If you’re looking to prevent mice from returning or ever getting in your home, we highly suggest one of our Residential services that include mice as well as many other typical household pests. However rats are not included in these services. The Home Traditional Service is a quarterly maintenance program that offers coverage should you experience a mouse problem and will help to prevent the establishment of mice populations in your home. The Home Intensive Service is also a quarterly maintenance service like the Home Traditional but also offers prevention through exclusion. One of our highly trained technicians will seal the cracks and crevices in your home to help prevent mice from entering your home in the future. Cooper also offers its clients a Rodent Exclusion stand-alone service to specifically prevent rodents from entering your home all year long. We understand a homeowner’s urgency in addressing rodent problems, which is why we strive to have one of our representatives meet with you the same day or very next day to address your situation. For more information on our rodent control services, call 1-800-949-2667 or fill out our free estimate form.